This is kind of movie news, so I think it just about qualifies for the site, and it interested me, so I thought I’d pass a few comments on it. Remember that film, where the guy lives through the same period of time over and over again? No, not Groundhog Day. Well, they’re making a TV series based on it. One in which a guy is transported into someone elses body in the past just before a tragic event. No, not Quantum Leap. 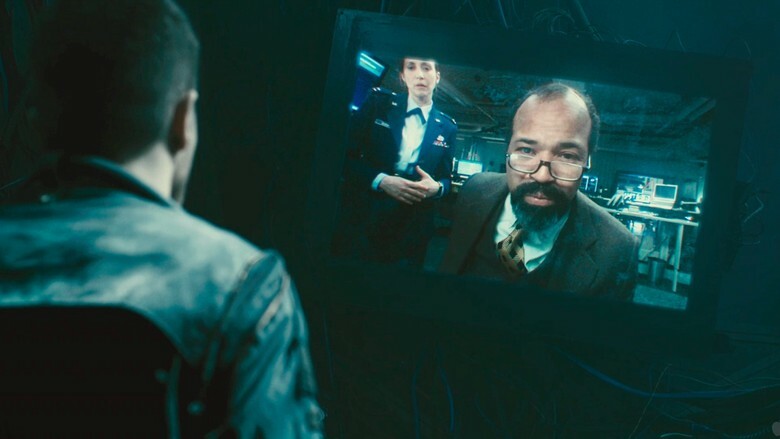 When Source Code was released, there were many Moon fans expecting a lot from director Duncan Jones’ sophomore effort, myself being one of them. Source Code was well written, and well acted, but the end product was no more than the sum of its parts. Gyllenhaal played a soldier who found himself transported into someone elses body, and relived the last 8 minutes of their life, over and over. He discovered that it was an experimental program whereby he would try to glean information about how a tragedy happened in order to prevent a further one. It was really not enough to build a feature film on, and though it was entertaining, I found it instantly forgettable. As for a TV series, which will be adapted at CBS according to The Hollywood Reporter, it may work a little better. Simple formula, every week a different body, and a different tragedy. Again, so far, so Quantum Leap. Is there enough possibilities, though, to keep it fresh? The loops became repetitive in a 90 minute film, and even half that would be stretching it a little, considering there won’t be the same need for so much back story and exposition between each loop. Little is known about the project so far, other than the movie’s director Jones is not expected to be involved. For those that have seen the film, you’ll know that at the end the world is both broadened and complicated by events at the end. Without wanting to spoil anything for those who haven’t seen it, I’ll just say that I have to assume these revelations will not be part of the TV series, at least not in the first season, as they could overcomplicate matters, leading to long drawn out moral arguments. I would guess that this series, if it does indeed come to pass, would probably be kept as simple as possible to allow casual viewers to drop in and out on a weekly basis. Most TV series have had a time loop episode, and there has even been a whole series about a cop reliving the same day over and over (the criminally overlooked, and quickly cancelled, Daybreak), so there is clearly interest in TV land in this concept. Whether the Source Code route is stretching that interest, however, remains to be seen. I predict it won’t make more than one season. This entry was posted in Articles, News and tagged adaptation, cbs, duncan jones, jake gyllenhaal, sci-fi, series, show, source code, time loop, tv. Bookmark the permalink.